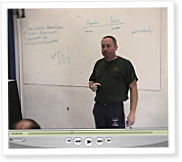 By the end of 2004, it was clear that there was a growing demand for CrossFit certification seminars. In early 2005, they were three-day events that began to include specialists like Coach Mike Burgener. This video is from the first day of the Santa Cruz cert that ran from Friday, April 15 to Sunday, April 17, 2005.